Our spaciously designed rooms suit your modern lifestyle, with amenities that are made for people who are up and about. Alba Uno Hotel is ideal for business and holiday travellers. Each room is airconditioned and comes with hot and cold shower, cable TV and telephone. We are conveniently located in the center of Cebu but in a quiet residential area that allows one to unwind after a day's work or sightseeing. Alba Uno Hotel is 30 minutes away from the Mactan-Cebu International Airport, 10 minutes from restaurants and shopping centers and a short walking distance from the Cebu Asiatown IT Park as well as other major commercial areas. 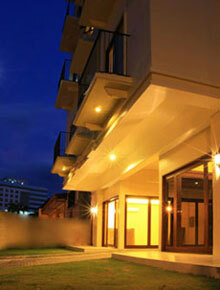 Alba Uno Hotel is without a doubt the place for people on the go in Cebu.